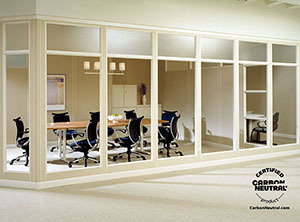 Office Furniture | Floor-To-Ceiling Dividers | Wilmington, MA | L.T.D. 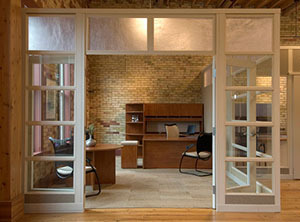 Office Solutions, Inc.
Today’s corporation is constantly adapting, changing, growing, evolving. Historically, that would have been a building nightmare, with inflexible sheetrock walls and hard-wired electrical systems that require days if not weeks to construct. 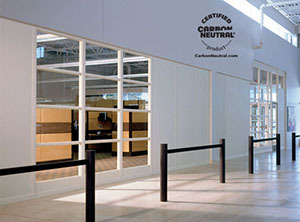 Today there is another option: floor-to-ceiling dividers that offer privacy, better noise-reduction than sheetrock, can be installed in a matter of hours with no dust, paint or construction debris . . . a custom-made office for the same price as sheetrock, and a depreciation schedule (five years) that’s the same as furniture. And when your company evolves further . 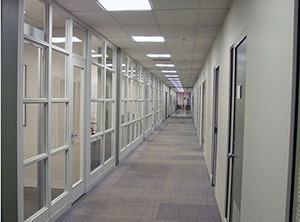 . . floor-to-ceiling dividers can be moved to accommodate a new situation. Ask us about the modern alternative to the corner office– a beautiful solution that can be set up anywhere you need it.